When its calling feature hit Android gadgets a couple weeks ago, WhatsApp founder Brian Acton said the tool would make its way to iOS soon enough. Well, today's the day. WhatsApp calling is rolling out to folks wielding Apple devices, allowing you to chat with friends and family around the world. If you'll recall, the feature uses WiFi rather a data connection, so you won't have to worry about international rate hikes. While the new version of the app is already available at iTunes, the release notes warn that the calling feature is rolling out slowly, so it may not be available for you immediately. The Reg is reporting on the release of Google Handwriting Input for Android smartphones and tablets: "The Chocolate Factory's research arm says handwriting recognition is needed because touchscreen keyboards remain modestly effective and while 'Voice input is an option, but there are situations where it is not feasible, such as in a noisy environment or during a meeting." The Google Research Blog notes that it allows recognition both on-device and in the cloud (by tapping on the cloud icon) in any Android app. To put it mildly, Windows Phone's official mapping options are... basic. 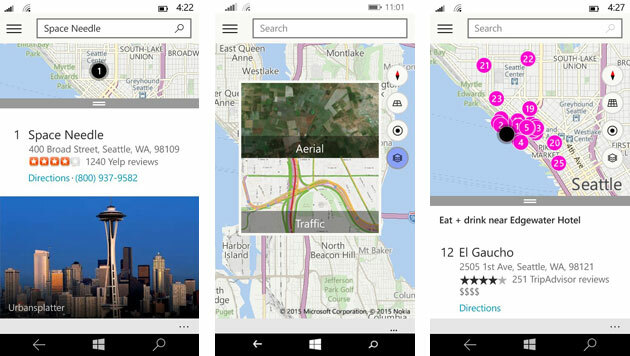 However, Microsoft is promising a better experience with the mobile Maps app in Windows 10. Get a recent preview version of Windows 10 and you'll see a map interface that is not only decidedly more modern-looking, but ties in more closely with Bing and rolls in some Here Maps features. You'll get the usual photos, reviews and directions (including Here's in-car navigation), but you'll also have an easier time finding things to do. You can specify that you're looking for something to eat near your hotel, for instance, and book the table reservation on the spot. This upgrade probably won't get you to switch phone platforms, but it's a big deal if you're a Windows phone fan who'd like to get Microsoft's best mapping services in a single app. Don't like that Chrome makes you use two hands to comfortably surf the web on youriPhone 6? Your life just got a bit easier. 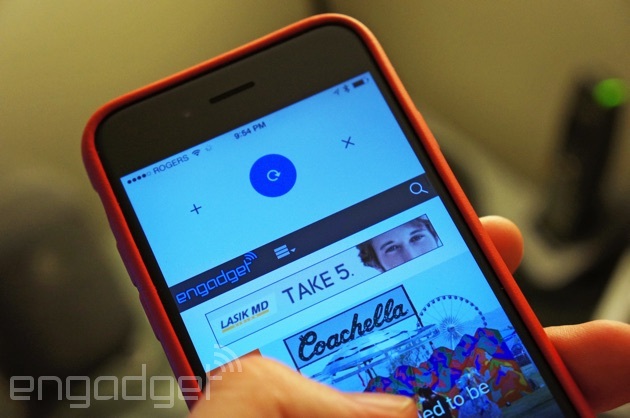 Google has updated Chrome for iOS so that you can pull down to not only refresh web pages, but open and close tabs. At this rate, you might only have to reach up when you want to type in a site address. There's also a Today View launcher widget that includes voice search, suggested answers for common searches and support for password managers like 1Password and LastPass. All told, you should spend more time browsing and less time stretching your fingers -- that's a worthwhile upgrade in our books. We've already seen Microsoft's Universal Office apps hit tablets, laptops and desktopsas part of the Windows 10 Technical Preview, now the company has announced they'll be headed to phones by the end of the month. 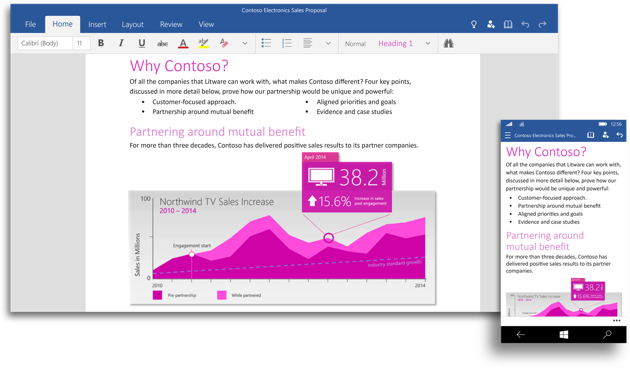 The Universal Office apps, which so far include Word, Excel and PowerPoint, are meant to show off a new touch friendly version of Microsoft's long-running productivity suite. But they're also an example of how developers can build one app that easily runs across a variety of Windows 10 devices. On phones, the Office Universal apps highlight the content of your documents, with typical commands and controls at the bottom of the screen. Microsoft says that should help with editing documents one-handed. On tablets, the Office apps look more like the full-fledged Office 2016 desktop apps, but with a interface tweaks to make them easier to navigate with your fingers. Apple’s successful Asian strategy has seen Chinese iOS owners download more apps than their American counterparts for the first time. 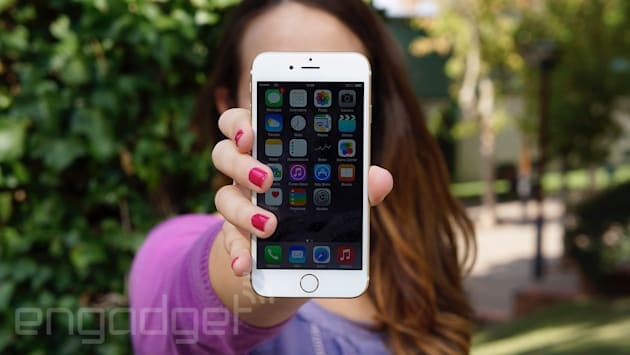 VentureBeat speculates that last year’s launch of the iPhone 6 and iPhone 6 Plus was the catalyst, with Chinese consumers typically preferring smartphones with larger screens. Both models featured bigger screens than any of their iPhone predecessors. Note, however, that US still leads its rival in terms of iOS revenues. In fact, China is only third in the revenue tables behind the US and Japan. “In Q4 2014, shipments of smartphones with screen sizes between five and seven inches constituted roughly 60 per cent of total smartphone shipments in China as compared to roughly 40 per cent worldwide and in the United States,” reads the cited App Annie report. The Apple Watch might not be out yet, but one developer already has an adventure game in line for launch on the tech timepiece. WayForward Technologies, the outlet behind platforming titles Mighty Switch Force and DuckTales Remastered, has announced that it will bring Watch Quest to Apple’s wearable on its day of release, April 24th. WayForward describes Watch Quest as ‘exclusively for Apple Watch’, but the game will actually require an iPhone as well. Although, it’s hard to believe many consumers will be opting for an Apple Watch without the firm’s smartphone to link it to. Watch Quest will divide action between the Watch and the iPhone, with the former representing ‘a journey that spans several hours’ and the latter serving as each player’s kingdom. What this means is that players will choose and equip a hero on their iPhone, before switching to the Apple Watch to guide said adventurer through environments – battling monsters, hunting for treasure and solving puzzles on the way. A number of quests of varying difficulty and requiring different levels of participation – both active and passive – will be offered. The game comes free with one training quest, with extra characters and campaigns purchasable from within the iPhone app as Quest Packs. 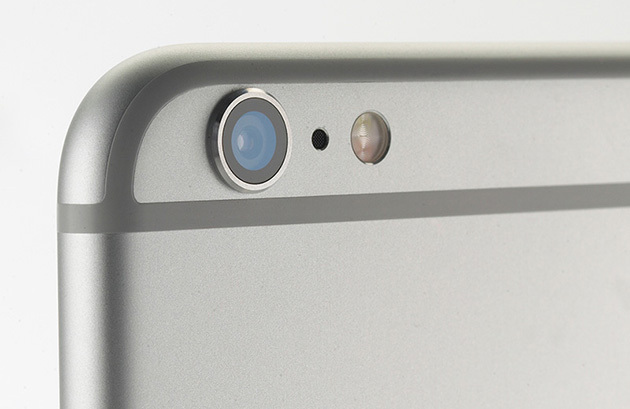 Your next iPhone's camera may be decidedly more sophisticated. Apple has snapped up LinX, a camera technology company that specializes in depth-sensing cameras that can create 3D image maps -- think Intel's RealSense, or the Duo Camera in the HTC One M8. While Apple isn't commenting on its future plans for the company, LinX's hardware allows for post-capture refocusing, DSLR-like soft backgrounds and better low-light photography. None of those features are new in the smartphone world (numerous devices offer one or more similar options), but they'd be welcome additions if you've ever flubbed an iPhone shot and wished you could fix it after the fact. 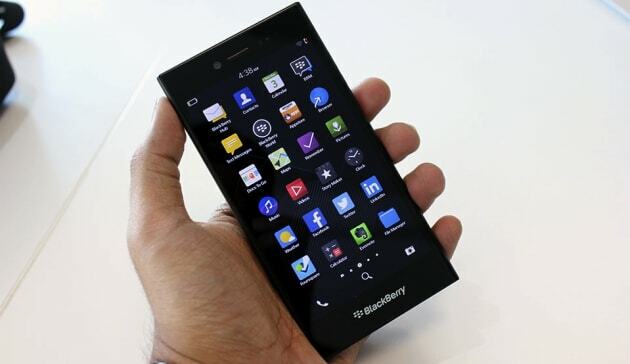 BlackBerry isn't the smartphone powerhouse it used to be. Android and iOS are slowly eroding what's left of its market share, but the company isn't giving up just yet. Its latest effort is the Leap, an all-touch smartphone (sorry, keyboard fans) aimed at "young power professionals." The device is launching in the UK today for £199 on BlackBerry's online store, although it won't actually ship until April 24th. If you want the Leap on contract, you can grab it immediately through Vodafone, otherwise it's also available SIM-free through third-party sellers such as Clove, Unlocked Mobilesand Mobile Phones Direct. A great thing about messenger apps is letting people know when you're away (even if you're not). Convenient, no? An Apple patent spotted by AppleInsider describes a feature that would let you do the same for voice calls, too. Since it's just a patent and (and thus, might never be developed), Cupertino doesn't have anything solid on how the system will work. The documents submitted to the trademark office do offer some ideas, though. For instance, it says the feature would upload data about its condition (such as its ringer volume, vibration status, device location, cellular strength, battery life, etc.) to a remote server. It's already evident that most Apple computers aren't designed with do-it-yourself repairs in mind, but the new MacBook takes that inaccessibility to a new level. 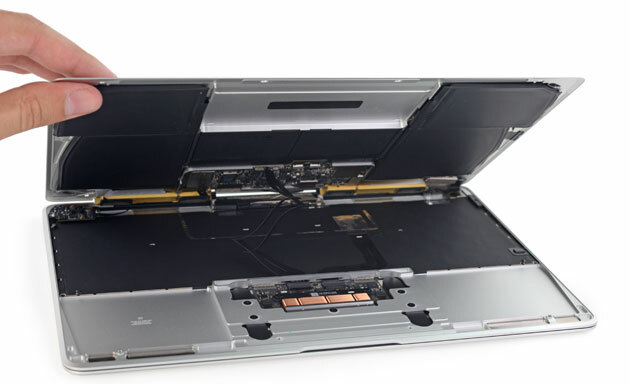 The crew at iFixit has torn down the ultra-slim machine, and it's clear that Apple took away a lot of repair options in its quest to squeeze everything into such a compact metal shell. The giant battery is glued firmly to the case, while the processor, memory and storage are all soldered to the tiny motherboard. Even the lone USB port is buried under other components, so it won't be easy to replace if it breaks. The findings aren't completely shocking -- Apple is treating the MacBook more as a high-powered iPad than a conventional computer, and designed the system accordingly. Still, you'll want to look elsewhere if you insist on fixing or upgrading PCs at home. 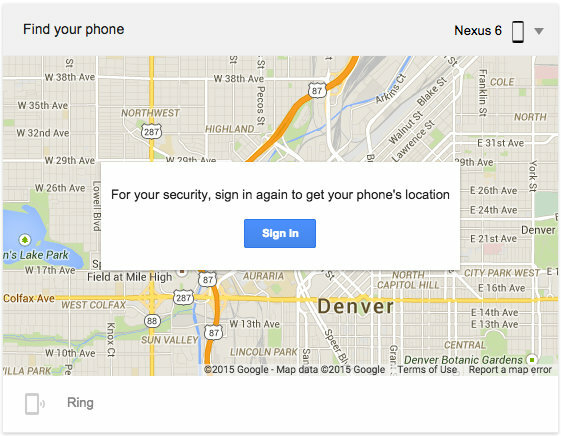 Google's making it even easier to track down your misplaced mobile device. WhileAndroid Device Manager already exists to help find lost phones and tablets, just getting to your account's ADM menu often requires a search of its own. But Find My Phone is as simple as a web query. In fact, that's literally what you're doing. Simply open a Google omnibox and type "find my phone" to display a map that reveals the phone's current resting place. If the device is nearby, you can also opt to ring your cell. Unfortunately, Find My Phone does not allow you to lock or erase your device should it be stolen or, say, left at the local pub -- you will still need Android Device Manager to do that. Tired of typing on your tablet? Sick of speaking to your phone? 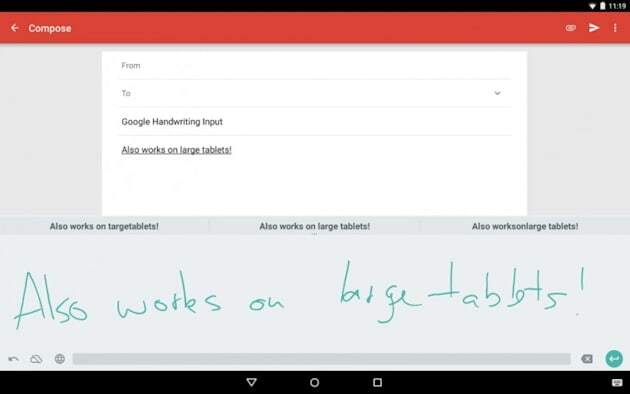 Well, if you've got Android 4.0.3 or higher, you are in luck because Google Handwriting Input for Androidhas just hit the Play Store. This utility app supports both printed and cursive writing styles, understands 82 languages and can even decipher hand-drawn emojis. What's more, it doesn't require you to use a stylus -- though for languages not based on the Roman alphabet (like Japanese, Korean or Hindi), a writing implement definitely helps. I just downloaded this to a Nexus 6 and it understood my scrawlings reasonably well. The only issue of immediate concern is the warning that Google will be saving all of the input text -- including any passwords and credit card numbers -- so take care with what you write. Cyanogen has revealed that it will pre-install Microsoft apps on its modded Android OS later this year, including Bing, Skype, OneDrive, OneNote, Outlook and Microsoft Office. The news doesn't come as a huge surprise, since it was rumored that Redmond had purchased a minority stake in Cyanogen with the express intention of bundling its software. As part of the deal, Microsoft will also create "native integrations" on Cyanogen OS, presumably to make all its apps play well together. Microsoft has avoided porting its productivity software over to Android and iOS for quite awhile, but finally made the jump earlier this year. Thanks to Google search on your Android phone, you can not only bring up search results from the web, but also content from apps that are installed on your phone. 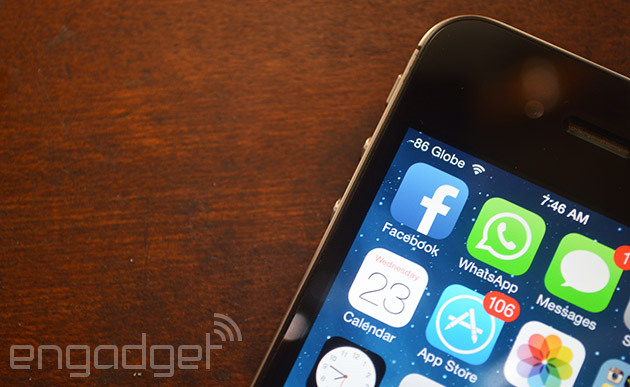 Soon, however, that capability will be extended to apps you haven't downloaded at all. Google has announced today that thanks to its app indexing efforts, you may now start to see Play Store suggestions in your search results that'll lead to relevant content. So, for example, say you're searching for "Michelin star restaurants" on your phone. You'll not only get the usual search results for that, but also see suggestions for apps like OpenTable or Yelp if you don't already have them installed. If you do install them, the first thing you see when you launch them is a list of, yep, Michelin star restaurants in your area. Japanese electronics giant Sharp has announced production of 5.5" displays with 4K (3840 x 2160) resolution. They'll hit the market next year. The display will have a pixel density of 806 PPI. It's not known yet which smartphone makers will build devices with these screens. The displays cost significantly more than a more typical 1080p or 1440p display, so they'll probably only make it into high-end phones. On the other hand, this will help to drive down prices for lower-resolution displays, so it could indirectly benefit everybody. Google working on biometric voice unlocking for Android? Android users will soon be able to unlock a device using their voice with new biometric security software from Google, according to reports. The feature (which Google has allegedly named Trusted Voice) apparently uses the “OK Google” vocal search trigger, allowing hands-free use of a device whether it is locked or not, reports the Android Police. However, a leaked image seemingly shows a Google warning saying that the introduction of the new feature could increase security risks, as imitating a users’ voice can be simpler than guessing a password. Other biometric unlocking methods include trusted devices, places and faces. The trusted places method lets users remove lockscreen PINs and passwords while in a safe place, such as the home or a place of work – although the issue with this is that it requires the use of battery guzzling GPS. Android users will apparently soon be able to access the new security feature from the smart lock option on their devices. In related news: Intel and Qualcomm are entering the biometric tech world with the use of retina and fingerprint scanners. Think that iOS' music player is overdue for a remake? You're going to get your wish. 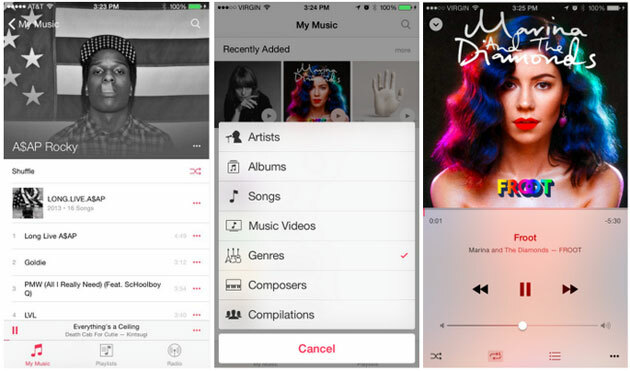 Apple has released the first iOS 8.4 beta to developers, and its centerpiece is a shiny, new Music app. The refresh includes at least a few long-sought changes, including some borrowed from iTunes: There's a mini player that sticks around while you're browsing, global search and an "Up Next" song queue. You'll also see a sleeker iTunes Radio interface that helps you discover new tracks. There's no sign of the Beats-based music service rumored to come alongside 8.4, but that's not supposed to show up until Apple's developer conference at the earliest -- if it exists, it's probably going to stay under wraps for a little while. Cyanogen and OnePlus aren't as close as they once were, but the wide open Android variant finally has a release-ready version of Lollipop and it's rolling out to the OnePlus One today. Cyanogen OS 12 has all the improvements Google could pack in to the fifth iteration of Android -- you'll need to wait for 12.1 for the 5.1 tweaks -- plus a couple of special additions with app theming, a built-in Gmail replacement and more. If you're not seeing the rolling update on your device yet, the factory image should be available to download here soon. Of course, OnePlus has its own OxygenOS version of Android to offer owners of the devices, so in the space of nine days, anyone carrying a One has gone from no official avenues for installing Android Lollipop to two. Choose wisely. If you're an Opera fan on Android, you no longer have to choose between Opera Mini's super-efficient web browsing and the native interface of its full-size sibling. The company has overhauled Mini to finally give it the Android-friendly look and core features of the regular browser, including redesigned Speed Dial shortcuts, a private browsing mode and a customizable design that scales nicely to tablet sizes. There's also a much-needed, Mini-specific data gauge so that you know how many megabytes you're saving. Give it a spin if you're trying to squeeze the most you can out of a capped cellular plan.